One year ago, we said goodbye to Smuggled Seeds, fast forward to October 2015, we say hello to tbsp. tbsp is brought to you by the awesome people and friendly faces behind Smuggled Seeds, bringing you the best of brunch and coffee. As excited as we were, Jess (@keepcalmandjusteat), mum and I headed out for a weekday brunch date at tbsp. 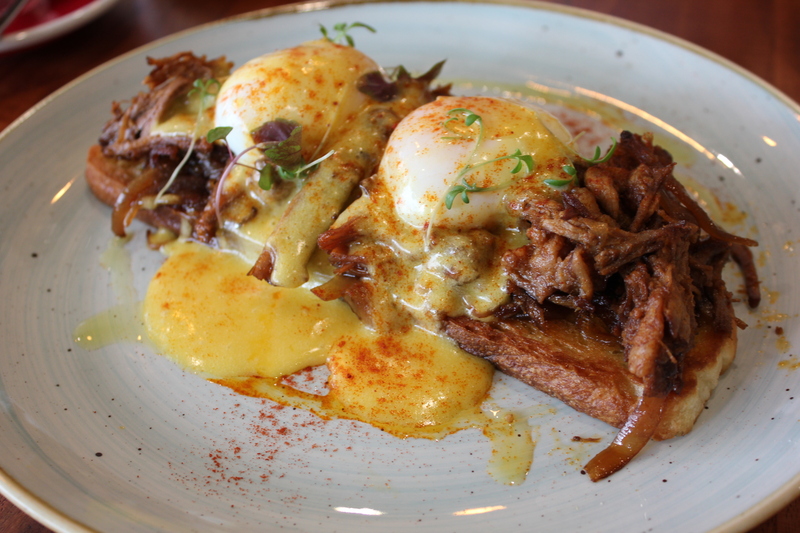 I had the brisket benedict with beer braised onions, slow-cooked eggs, hollandaise and ciabatta. Similar to the texture of a pulled pork, the brisket was succulent, soft and tender. The slow-cooked eggs, perfect. The stand out of the dish would be the hollandaise sauce. Texturally balanced, rich and creamy, drizzling down and soaking up the crusty ciabatta. It’s deliciously good and very hearty with a burst of moorish flavours. 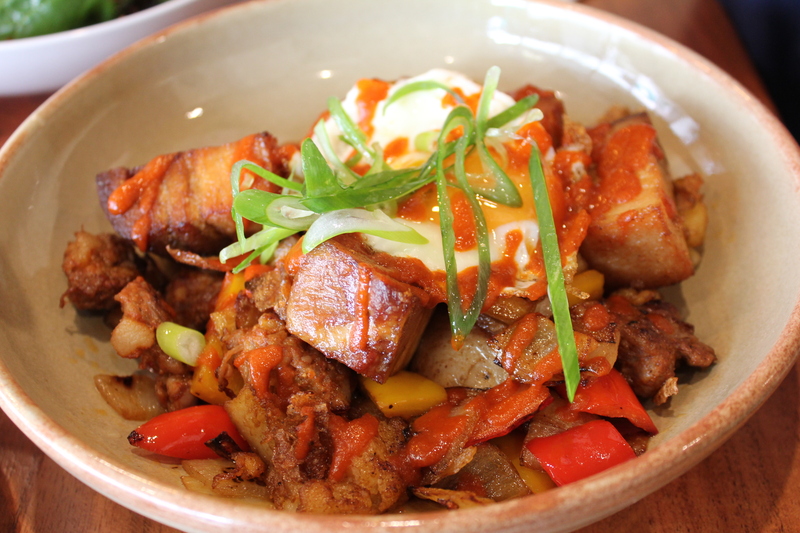 Jess had the pork belly, chorizo & potato hash, onions, peppers, fried egg and sriracha. It’s a dish inspired from Rob’s visit to The Grain Store in Melbourne. I sneaked a taste of Jess’s dish and it was very tasty. The pork belly was melt in your mouth juicy and tender with a hint of chilli kick from the sriracha. 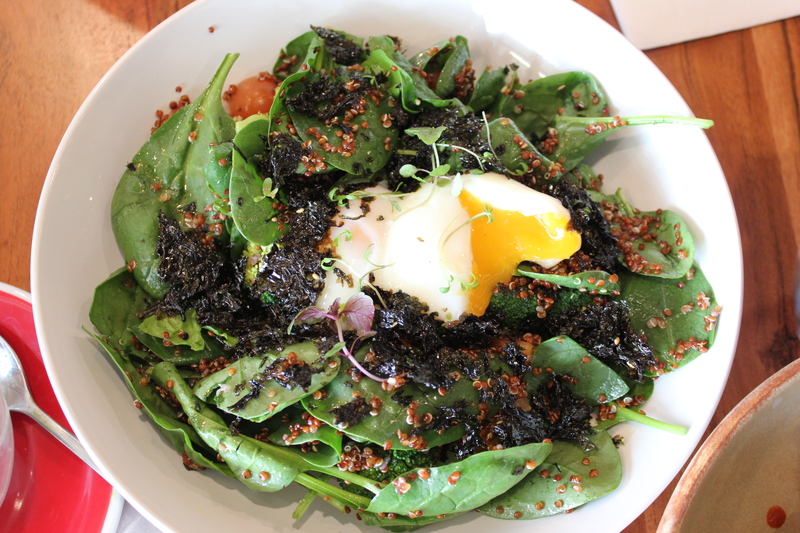 Mum had the red quinoa salad, slow-cooked eggs, charred brocolli, spinach, cherry tomatoes and crispy seaweed. If you love your greens, you will fall in love with this dish. It’s bursting full of fresh flavours with a crunch on every bite from the crispy seaweed and quinoa. Yes, we still did have some room for another dish. 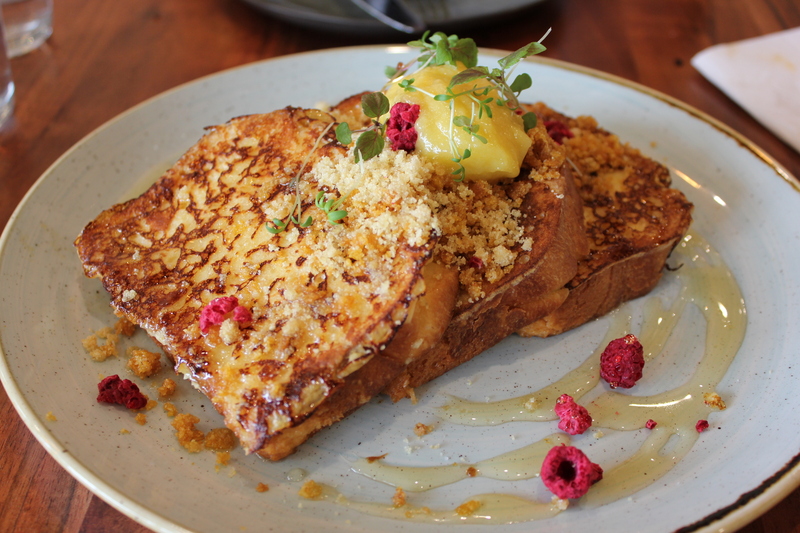 We shared a brioche french toast, whipped honey butter and cereal crunch and fell in love with it immediately with one bite. It’s soft and fluffy with a slight crunch from the crust, marrying well with the heavenly whipped honey butter. This french toast is not overly sweet, so trust me, you won’t feel sick and you will keep wanting more with each bite. With such good brunch food and coffee, a second visit to tbsp is already in order and it’s definitely one cafe that is going to be very popular among foodies. Keep it up and great work to Rob and the tbsp team! Previous Previous post: Save 20% on your tickets at Margaret River Gourmet Escape!